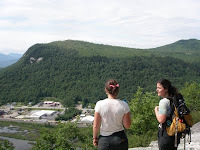 Thirteen Berlin, NH High School youth are participating in new trail construction on Mt. Jasper. These teens are part of the NH state funded Jobs for America's Graduates (NH-JAG) program. More than a year ago Sally Manikian (AMC Backcountry Resource Manager) began working with Tri-County CAP and the Tillotson Fund-NH Charitable Foundation to develop this conservation and trail stewardship project for the NH-JAG program. These teens are payed an hourly wage through the NH-JAG program and are led by AMC Camp Dodge Trail Crew Leaders. Their Monday-Thursday work focused on new trail construction up Mt. Jasper, property that is part of Berlin High School. 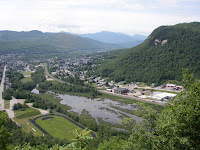 In all, the trail is a little more than one mile in length that leads to stunning views of the town of Berlin, NH and the surrounding mountains. 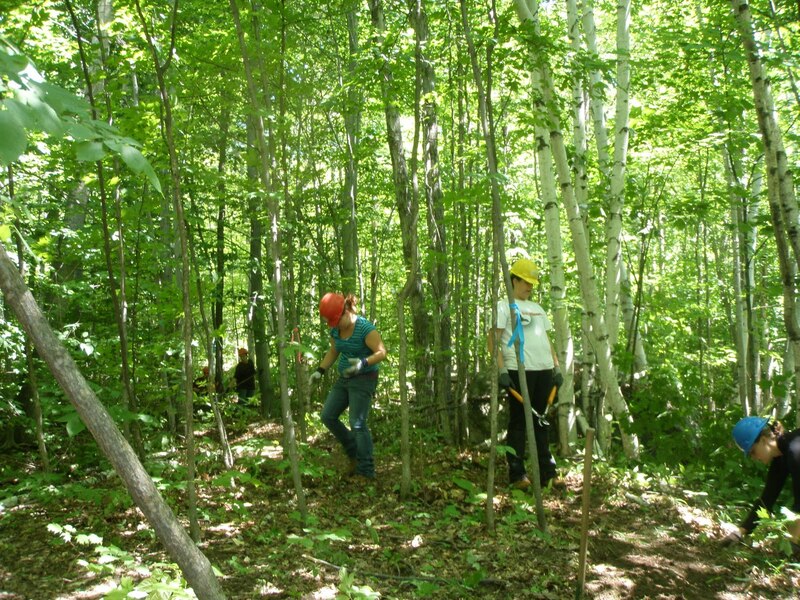 Over their three weeks the students transformed a flag-line through the forest into a finished hiking trail. In addition to brushing out the vegetation and defining the treadway they also constructed drainage structures and rock staircases on steep sections of trail. Trail work and the tools of the trade were new to these students. There was a learning curve, but now this group of Berlin youth are seasoned trail workers, finishing the day more covered in mud than not. Thank you to all of the NH-JAG students for their help and hard work on constructing this new trail. Happy hiking.